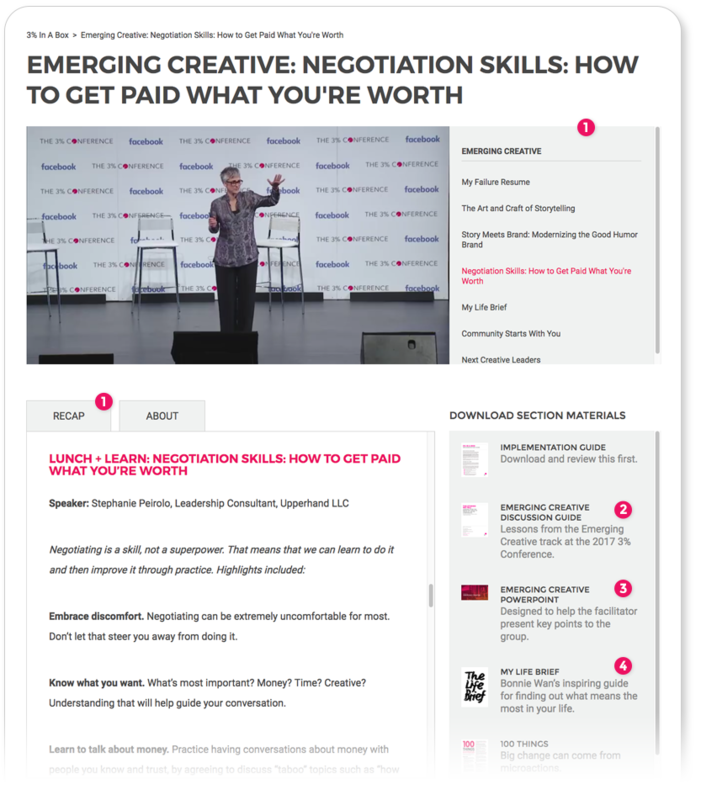 Share key takeaways from the Emerging Creative track with your agency team using our own curriculum that includes discussion guides, presentation templates and bonus materials. 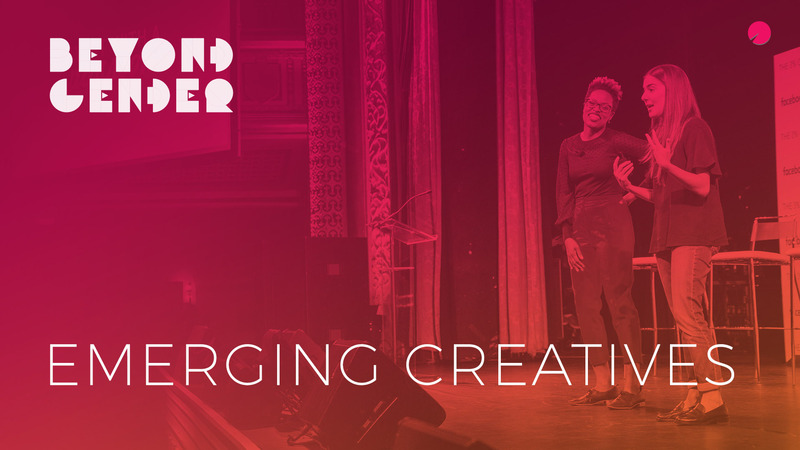 Watch all sessions from the Emerging Creative track the 6th Annual 3% Conference in 2017 in consecutive order, just as an attendee from the live audience did. Each session is accompanied by a recap about that session by a conference attendee. Dive deep on the key topic via a discussion guide we created expressly to generate conversation in an agency setting. A master template that you can customize with content relevant to your agency. Tangible takeaways, the newest research, PDFs from top keynoter's presentations, and more.